See Volunteer#Scenery Model Creators for the main article about this subject. Generally one can start with a blueprint using their favorite imaging software like Gimp, Photoshop, or Paint shop pro then separate various views (front, back, etc...) into greyscale jpg files. Then import them as a background for easy modelling in your favorite 3D modelling software program. To begin, you will need to create models in a 3d modeling appliction. Three popular ones are AC3D, Blender and SketchUp. FlightGear can display models in several formats, any format supported by PLIB is acceptable. AC3D is the most popular format for including scenery in Flightgear. Most or all of the default scenery bundled with a Flightgear release are in AC3D format. 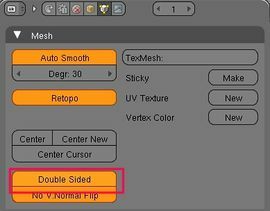 If you do not have AC3D, Blender offers many import and export tools. See the Blender website for further information. Flightgear uses the ac3d model format for objects such as buildings. 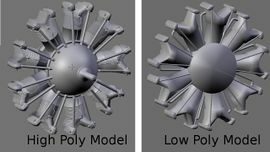 To create a model, you will need one of two modelling packages. Either go directly to AC3D itself, or use Blender and then convert via a Python script (see below). AC3D seems to be a much easier program to learn, while still being very powerful. The downside is that you have to buy a licence to get more than 14 days use. Blender is more difficult to learn to use, since it is not quite as intuitive and is far more powerful. However it is GPL'd, and there are lots of tutorials to help with learning. See Modeling - SketchUp for the main article about this subject. SketchUp (http://sketchup.google.com) is the easiest to use of these three programs. But the results are very nice and professional. I recommend SketchUp for users who are not really good at difficult computer programs. See Modeling - Wings 3D for the main article about this subject. Wings 3D (http://www.wings3d.com/) is another 3D modeling program, and is free open source software. There are several ways of doing this. The most direct way is to simply add the required data by hand. The easiest way is to use the UFO's object placement feature (in version 9.10 or higher). When operating the UFO, left-clicking the mouse anywhere on the ground will place an object, and pressing space-up or down will cycle through the models. Coordinates of placed models can then be dumped to the terminal or written to a configuration file. Obsolete project? Another method is to use FlightGear Scenery Designer (Project Site). After setting the paths to your scenery data, simply load up the area where you want to place the object. Load your .ac format model, and right click on the desired spot to place your model there. Export the modifed scenery to save it, rerun Flightgear and your model should be there. 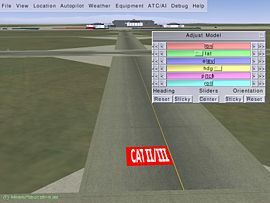 Models in Flightgear use textures with PNG format. Most image editors support editing PNG files, like THE GIMP, Corel Paintshop Pro, Adobe Photoshop, etc. Once you have made your model building, you will want to apply some textures to it, so it looks as realistic as possible. This is possibly one of the hardest areas, as a good model with bad textures will still look bad. Since Flightgear and the scenery data are all released under the GPL, any textures that you use must also be able to be released under this license. This will probably prevent you from just using anything you come across on the net, unless it is already under the GPL. It is quite common for people to state that their pictures or textures are free. Since Flightgear can be sold for profit, and is released on Linux distributions that are sold, check that there are no clauses stating that the item can not be sold or used for commercial use. See http://members.aon.at/mfranz/flightgear/blender-textured-lights.html for the main article about this subject. It has been suggested that this article or section be merged with Modelling guidelines. Delete unseen faces such as faces inside the model, but remember that the Rembrandt renderer needs closed meshes to cast shadows correctly, so you'll often want to keep the ones below. Remove "line faces", which are faces whose points are in the same line. See Howto:Decrease the number of faces. Modern graphics cards can handle very large textures and huge numbers of vertices with minimal frame rate impact. A typical scene in FlightGear (with clouds, buildings rivers, roads...) has millions of vertices which simply dwarfs a 17K aircraft making the aircraft model an insignificant factor. The general rule is use enough vertices and large enough textures to make things look right and no more. More recent aircraft efforts tend to have much higher vertex counts, much larger textures and a lot more detail then older work because of how capable modern hardware is. It is not unusual to see newer aircraft exceeding 100K vertices. For example the P-51D that will be released with 3.2 has an external model that is slightly over 100K vertices and this had a minimal frame rate impact on my (newer high end) hardware compared to the old 10K external model. If you can't see the difference between using a 512x512 instrument texture compared to a 256x256 texture then use the smaller texture. But if you can see the difference then use the larger texture. On modern hardware the difference in frame rate will be very small but it may impact those with older/slower/obsolete hardware in a noticeable way. All of the instruments in the P-51D are 512x512 for larger gauges or 256x256 for smaller gauges and at least to me they have a sharp appearance even when zoomed in fairly close. Many older aircraft use 128x128 textures for instruments but to me at least on the larger instruments on a very high resolution monitor these textures are a little bit fuzzy in appearance. The other thing I do is I create the textures at much higher resolution and then scale it to final size. This allows the scaling algorithm in the graphics package to apply anti aliasing during the scaling process which I think helps make the smaller textures look good since it reduces the appearance of jaggies. — hvengel (Fri Aug 08). Re: key + animation. ...avoid mixing textured and untextured geometry in the same model. Build the coloring into the texture map instead. This is to prevent that the object gets split, and anyway, the AC format supports only one texture per object. Textures must be a power of two, or they will be resized at loading, and cause issues to some users. Avoid using big textures: 512x512 is mostly enough for most models. Use a single texture. However, if your model absolutely needs alpha texture and another part of the model is opaque, you should use two textures: one with alpha and the other without. Don't use alpha in texture when it is not needed: transparency is not easy to deal with, and often causes artifacts. Shader effects (like lightmaps, normalmaps...) and Rembrandt lights are not affordable by everyone's machine, so try to provide alternatives. However, remember also that FlightGear provides options to adjust such effects. Note Note that range animations often used for LOD are very expensive (any time you move, every range animation must be evaluated), and give a real advantage only if they remove a very large amount of details (like 1000-2000 triangles), so it's not useful in many cases of for example scenery objects or cockpit details. Tip Instead of using range animations for each little detail you could group many details together and do the range animation for them all, for example having one range animation for an entire cockpit instead of several dozens. If a model has to be detailed to a very high degree, use multiple objects with different levels of detailing, and switch between them based on LOD with a range animation, or split the detailed parts to make them a couple more objects that add details incrementally. An alternative, less expensive way to support LOD is applying a select animation, that can hide an object based on some property, for example hiding a cars side mirrors if "detailed" level is at less than 1500m (which is the default), indicating that the user has a less powerful machine. It is less flexible, but allows everyone to enjoy your models. With modern graphics cards, the amount of objects can have a higher impact on performance than the amount of triangles/vertices. Textures, transparency, .xml included sub-models: The things that kill frame rate in FlightGear. Try to avoid them. Also avoid smooth shading when possible, but don't be afraid to use it for curved surfaces where it really has an impact on model quality. This page was last modified on 29 January 2019, at 17:55.